Kerala University Recruitment 2019: University of Kerala / www.keralauniversity.ac.in is conducting recruitment processes to fill 1 vacancy. As of now, there is one recruitment drive going on for Project Fellow Post. Kerala University Recruitment 2019 - Walk in for JRF Posts in Kerala University, Thiruvananthapuram, Kerala on Temporary Basis. Candidates are invited by University of Kerala to attend walk-in-interview to be held on 17 Apr 2019 10:00 AM for 2 vacancies. Kerala University Recruitment 2019 - Walk in for Project Fellow Post on a project entitled “Unravelling Submarine Groundwater Discharge (SGD) zones along the Indian subcontinent and its islands (Mission-SGD) – PILOT STUDY” in Department Of Geology, Kerala University, Thiruvananthapuram, Kerala. Candidates are invited by University of Kerala to attend walk-in-interview to be held on 11 Apr 2019 10:00 AM for 1 vacancy. 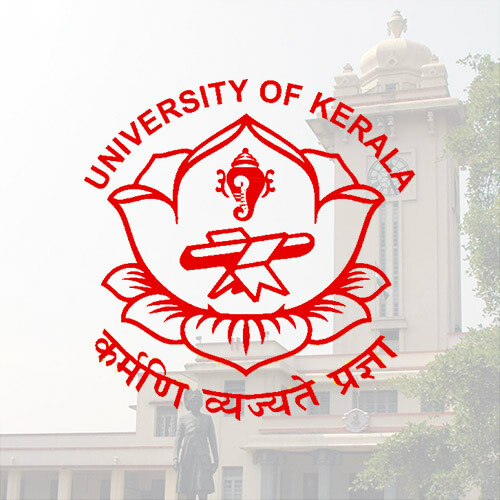 Kerala University Recruitment 2019 - Job notification for Assistant Engineer (Instrumentation) Post in Kerala University, Kerala on Contract Basis. Applications are invited by University of Kerala on or before 05 Mar 2019 for 1 vacancy. Kerala University Recruitment 2019 - Job notification for Controller of Examinations Post in Kerala University, Thiruvananthapuram on Deputation Basis. Applications are invited by University of Kerala on or before 27 Feb 2019 till 05:15 PM for 1 vacancy. Kerala University Recruitment 2019 - Walk in for Junior Research Fellow Post in Department of Geology, Kerala University, Kerala, Thiruvananthapuram on Temporary on Co-terminus Basis. Candidates are invited by University of Kerala to attend walk-in-interview to be held on 01 Mar 2019 at 11:00 AM for 1 vacancy. Kerala University Recruitment 2019 - Apply Online for Lecturers Posts in Kerala University, Kerala on Contract Basis. Online Applications are invited by University of Kerala from 05 Feb 2019 to 15 Feb 2019 till 05:00 PM. Kerala University Recruitment 2019 - Job notification for JRF/ Project Assistant Post on a project entitled "Study of driven nonequilibrium systems and Biological Processes" in Department of Physics, Kerala University, Kerala, Thiruvananthapuram on Contract Basis. Applications are invited by University of Kerala on or before 10 Feb 2019 for 1 vacancy. Kerala University Recruitment 2019 - Job notification for Library Assistant Post in Kerala University, Thiruvananthapuram, Kerala on Contract Basis. Applications are invited by University of Kerala on or before 15 Feb 2019 for 1 vacancy.